If you are like most people, you don’t read privacy statements. They are boring, often generic, and seem to be created to protect businesses from lawsuits rather than to inform customers about how they protect their privacy. Still, when you know what to look for to make up your mind about “is it OK to use this product”, such statements are helpful. If somebody was wiretapping all of your phone calls you wouldn’t be happy. Why should you then accept surveillance when you use other services? Most people do, and while they may have a feeling that their browsing is “monitored” they may not have the full insight into what people can do with the data they collect, or how much data they actually get access to. Even so, there is much to be learned from looking at a privacy statement. If you are like most people you are not afraid of sharing things on the internet, but still you don’t want the platforms you use to abuse the information you share. In addition, you would like to know what you are sharing. It is obvious that you are sharing a photo when you include it in a Facebook status update – but it is obvious that you are sharing your phone number and location when you are using a browser add-on? The former we are generally OK with (it is our decision to share), the latter not so much – we are typically tricked into sharing such information without even knowing that we do it. So-called anonymous information: approximate geo-location, hardware specs, browser type and version, date of software installation (their add-on I presume), the date you last used their services, operating system type and version, OS language, registry entries (really?? ), URL requests, and time stamps. Other information: information that is publicly available as a result of using the service (their socalled VPN network) may be accessed by other users as a cache on your device. This is basically your browser history. 125 million users accept that their personal data is being harvested, analysed and shared at will by a company that provides “VPN” with no encryption and that accepts the use of “password” as password when signing up for their service. How do they secure the information? Think about what this means for the things that are important to your privacy. Do you accept that they do the stuff they do? What is the worst-case use of that information if the service provider is hacked? Identity theft? Incriminating cases for blackmail? Political profiling? Credibility building for phishing or other scams? The more information they gather, the worse the potential impact. Finally, never trust someone claiming to sell a security product that obviously does not follow good security practice. No SSL, accepting weak passwords? Take your business elsewhere, it is not worth the risk. You have probably (hopefully) been told that open wifi is insecure, and that you should use a virtual private network to encrypt and protect your traffic. Most people don’t do this, perhaps because it seems hard to do? Opera software now offers free VPN. It is built into the browser on the desktop, and a standalone app on smartphones. It also comes with the ability to block tracking cookies! Those are cookies that track the pages you look at on the web – for commercial purposes (or so they claim). An old but nice nontechnical write-up on tracking cookies is found at geek.com. The difference from back then is that big data and AI have amplified trackers abilities to spy on you and analyze your online life. How many trackers are you exposed to by visiting high traffic news sites? Here’s what Opera VPN reported after visiting CNN.com and Bloomberg.com without clicking a single link on those pages. 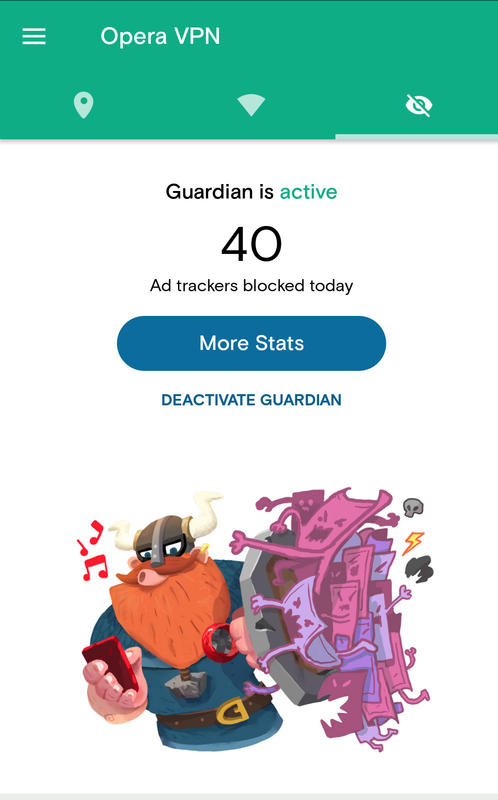 40 trackers? I have no interest in feeding ad networks with my online habits. I suggest you go ahead and activate VPN and cookie filters on you mobile in addition to your desktop, also when browsing on secure networks!